I feel sorry for you. If you don't know what those two words mean. Really mean. Throwing down an Abt or two this evening, at the arse end of the year, my mind wanderered off to beers past. Tetley's Mild. My favourite beer of all time. A beer that just scraped over 3% ABV. But hit heights that were higher than beers of triple its strength. Black Dog. Sheepscar. Rising Sun. The Cardigan Arms. My best ever were there. When they went from electric to handpulls. As if they'd just switched the colours on. I've drunk all sorts of poncy stuff. But the best pints I've had were in Leeds. And all Tetley's Mild. cardigan arms is still there but last time I checked it had been filled with 2nd hand furniture and used as a show room. Dis you ever post a recipe for the mild? I've never seen let alone drunk Tetley's Mild but I presume you can still get it in Leeds? Unlike my own favourite and long gone mild Wilson's that I thankfully got to taste as a teenager in Manchester in the 80's just before it disappeared. no, I've never posted the recipe for Tetley's Mild. 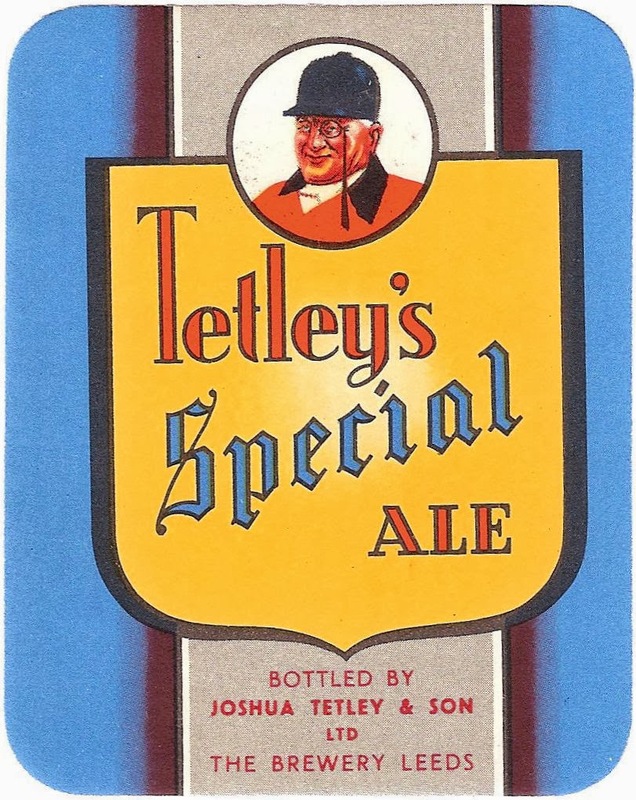 For some reason we've only ever done one Tetley's beer. Ity might be a good one for Mild month in March. Anon - you're thinking of the Rising Sun. That was recently gutted by fire unfortunately. The Cardigan Arms is still a pub. I walked through Holbeck last night and it's a bit eerie how you can still see the "Home of Tetleys" sign in big illuminated letters on what remains of the old brewery. Sitting up late at night (as you do) I watched a New Zealand cricketer being interviewed about his younger days with a Yorkshire club. When asked what he liked most about it he said, emphatically, "Tetleys Mild"
hardly anywhere in Leeds still seems to sell any flavour of Tetley's. I didn't see the Mild once when I was tehre last year. that's a great story. Any idea who the cricketer was? The Bridge Inn in Horsforth normally has Tetley's Mild. I still see Tetley Bitter quite often in the city centre pubs. I guess I was just comapring it to my memoried of Leeds, when it was wall to wall Tetley's.